July 19, 2018 - No Comments! The Paperclip team have been hard at work this week, adding new features to the UK's most trusted marketplace. 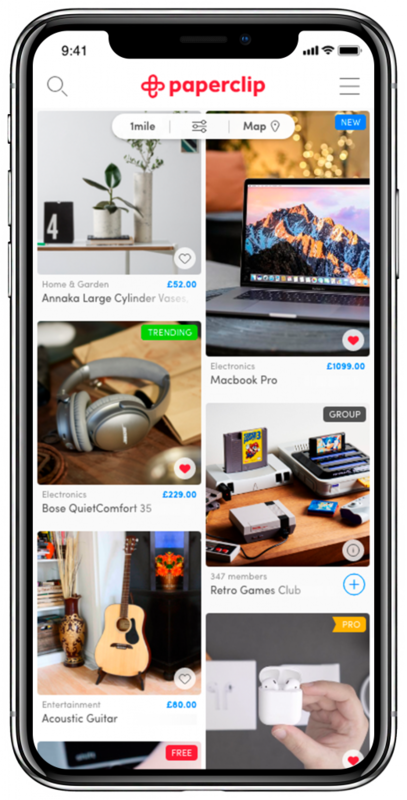 The Development team have been busy building the latest version of the mobile app, whilst the Design team have been working on some slick new graphics for our promo campaigns. We are always striving to make the marketplace better, faster, with more of the stuff you love! We were hoping you can help by sparing 60 seconds to answer a few questions about Paperclip and what you want to see more of in the future. Click here to be transported to a brief survey about the marketplace. Thanks for the feedback - and remember to stay tuned to our blog for more Paperclip news! July 11, 2018 - No Comments! It's been yet another busy week at PaperclipHQ! We have been hard at work creating more beautiful, bespoke marketplaces for our corporate and university clients. Last Tuesday, however, we began our marketing campaign for an existing client: One Central Square. Back in 2016, the Paperclip team were fortunate enough to snag office space in Cardiff's most prestigious development sites. One Central Square is located in the heart of the Welsh capital and caters for a number of companies both big and small. What's different to other office spaces in the city, is OCS' commitment to building an active, supportive business community within its four walls. OCS explain "The office is more than just a place to work, it is a community that serves to ensure that the professional services staff that reside there are as content as possible." Paperclip reached out to OCS last year and have always been keen to help OCS further develop relationships amongst tenants. With so many businesses now looking to boost employee satisfaction and retention by offering staff perks, this was the perfect opportunity to work together. After a quick catch-up with the OCS management team, we pitched the idea of a local marketplace, just for staff and the tenants of the building. Before long, the Development team were spinning up another new marketplace. Speaking about the new partnership, our CEO Rich said "I'm delighted to provide the most prestigious office building in Wales with their very own marketplace. We have thoroughly tested it with tenants such as MotoNovo and we are all very excited to go live. It's a testament to the building management that they've worked so closely with us on this, and aligns well with their vision of One Central Square becoming more than just an office, but a thriving community." The Marketing and Design teams have been working on a print and social campaign to spread the word about the platform and it hasn't taken long for tenants to start buying, selling and swapping. Our CMO, Laurence added "This has been a really rewarding project. Not only have we delivered a marketplace to one of the city's most prestigious developments, but we are helping build a business community too! 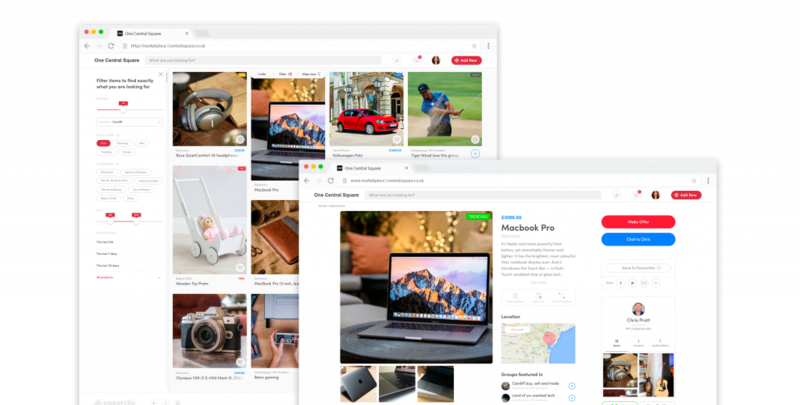 The Development, Marketing and Design teams have really enjoyed working with One Central Square and are looking forward to getting more users and more great items on the platform." Would your business benefit from a staff marketplace? Get in touch here.